And here is the newest update. I definitely have more energy during the day and at night. I’m staying up consistently till 2am and am able to get stuff done that I was usually having to put off till the next day. Water – Drinking enough water is VERY important. I cannot stress that enough. I can only assume with all the energy that your body just needs more of it, but seriously, I am drinking a lot of water. And I found out what happens if I don’t. I woke up a few days ago in the middle of the night with a throat and mouth full of bile. Just for the record? NOT a fun way to wake up. Coughing and choking and burning and all together unpleasantness. I knew that day that I wasn’t drinking enough, but I thought I would be fine. Lesson learned. Drink tons of water. Pajamas – Okay, one of the thing Dr. Oz and both of my former physical trainers said is that people should pay more attention to their size than their weight. One of the main reasons is as we gain lean muscle mass it happens to weigh more than fat. Thus, the scales are actually our enemy – think about it. 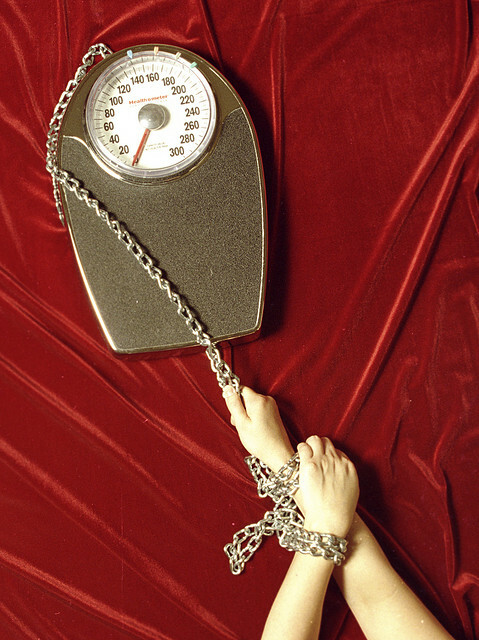 What happens if you are dieting and you keep getting on the scales and you either don’t lose any or you begin to gain? Ben & Jerry, send me a pint, right? So, I haven’t bothered watching the weight, but I have kept a close eye on size. In my last update, I noted that my stomach was softer and that my breasts were smaller. On Wednesday I did laundry and as I pulled on my pajamas and t-shirt, I noticed a HUGE difference. My pajama bottoms which usually were too tight, were actually rather loose. But even better? My t-shirt which up until I tossed it in the laundry basket two weeks ago was tight – I mean it showed off everything… too much – Well, it is frickin’ loose, people! I’m talking, a couple sizes too large loose. It’s hanging. woot woot! So, I have to say, I am pretty pleased right now. I have not changed my diet or my exercise routine. I still go to the gym for 30 minutes a day. I still eat the foods I have been eating all along. The only difference is that I take a 500mg Garcinia Cambogia pill with breakfast, lunch and dinner. Diabetes – My mother has type 2 Diabetes, but she also takes insulin. She has struggled with it for almost 30 years. She started taking GC at the same time I did. As her liver was damaged (it is the liver that regulates your insulin), it took about a week before she noticed a dramatic drop in her sugar numbers. Suddenly instead of being 140-180 fasting, her numbers were 80-100 fasting. Unfortunately, she is a scale watcher and no matter how many times I tell her to stop doing that and why, she looks at her weight every day. She weighs over 200 lbs. For the first time a week ago, I saw a small difference – her hips no longer jutted out like they used to. And this last weekend, a shirt she has that has always fit is now so loose it looks frumpy on her. I’m hoping her size difference will make her stop watching the scales because she is rather depressed because as far as she can tell, she weighs 1 pound more than she did when she started. I would love to see if there has been a study done on the effects of GC on diabetics and if her results are normal for someone in her condition. Well, that is all for this update. My next Challenge update might not be for another month as I will be travelling the beginning of May. If I am able to do an update on the road, I will, but otherwise, you will find out what is going on with me and GC at the latter part of May. I get my GC from Vitamins Because Your Worth It. (Just ignore the fact they used the wrong Your). I chose them because A: their site says the capsules are 100% GC as apposed to other sites that combine other things with it. and B: They are cheap. On the Dr. Oz show the nutritionist said one of the best things about this particular weight-loss supplement was how cheap it actually was, but so many companies want to charge an arm, a leg and half a lung for it. Not this site. There, you buy one bottle for only $20 and get two free. Yep, you heard me. Buy one, get two free. Pretty nifty deal. Check them out if you are intrigued about GC. I get nothing from linking to them, not a penny. I just think they are worth buying from. Side note – about a week after you order, you do need to call and remind them of your order. They will usually get it out the next day at that point. Previous post What are you doing May 3-5th? Next post A new LGBT Bloghop, hop aboard!